Summer is fast approaching and so is the wedding season. 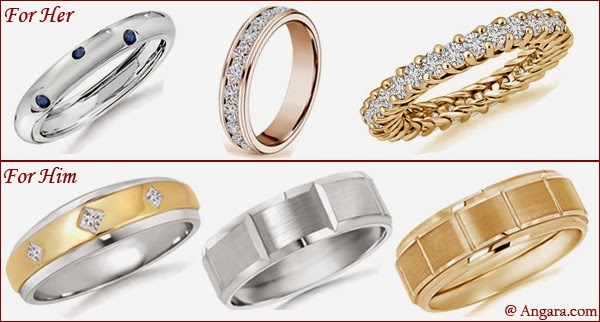 If you are planning for a summer wedding, shopping for wedding bands is vital. How about some stackable rings from Angara to exchange your vows? Stackable rings for women are in vogue and their fine online jewelry store offers a wide and vivid selection with customizable options. These stackable bands are petite and pristine, and all you future brides will definitely love them. The bands are traditional yet very unconventional and they are good to wear in different styles. Put them all together or wear one in each finger – choice is yours. Mix your metals, stones and styles for a dramatic look as stackable rings allows you to enjoy the pop of color without being overdone. You can also look for more designer wedding bands here - http://www.angara.com/engagement-rings/wedding-bands.html. If his and her matching bands are the options, they are also available at Angara. With those personalization options, I personally believe it’s easy and fun to shop at Angara.com. What do you think? For men's bags I always shop at http://pursesandmore.net/bags-for-men/. Always a sale!